It is getting hot in Rome!!!!!!!! As temperatures rise, I do not feel like drinking cappuccinos anymore. In Roman cafés, baristas are beginning to offer caffè freddo (cold coffee), which is just plain cold espresso with sugar. Since I like black coffee hot, I am not really fond of this kind of drink. 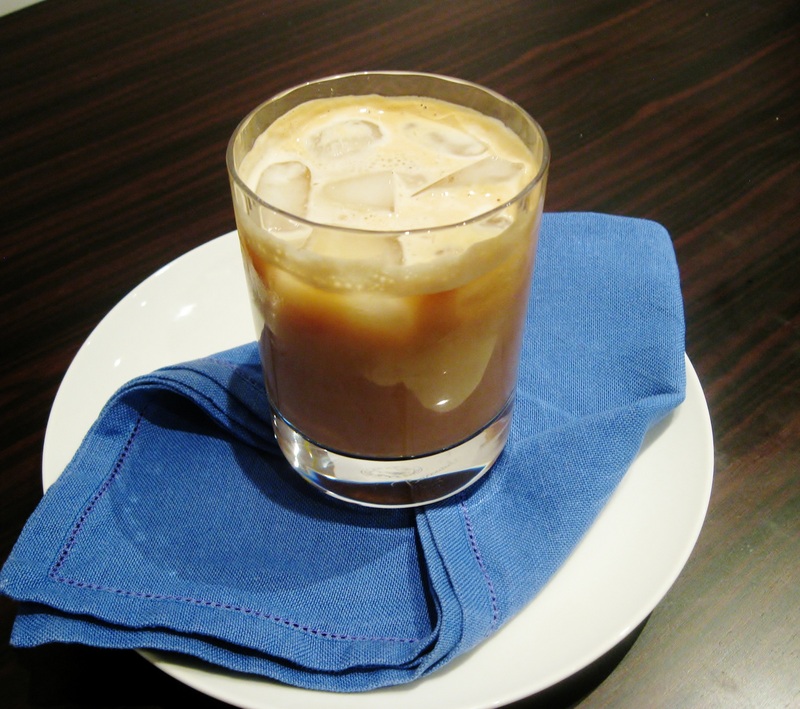 I prefer iced coffee with milk – a.k.a frappuccino – which I find much more refreshing during hot summer days. And speaking of frappuccinos, I thought these were the best iced coffee until last Summer, during my trip to the Region of Puglia (Apulia) in the south of Italy . We stayed at this beautiful place named Tenuta Centoporte ( http://www.tenutacentoporte.it/). Around the pool, there was a small café, where you could taste regional specialities, such as burrata (a typical Apulian cheese from the town of Andria), and friselle – a sort of round, oven baked, hard bread (similar to a bagel) made of durum wheat, usually topped with diced tomatoes, olive oil and oregano. One hot day after lunch, the resort’s friendly Apulian barista suggested us to get a caffè con il latte di mandorla, espresso coffee with almond milk. It was the most delicious, refreshing thing I could ever tasted last summer. 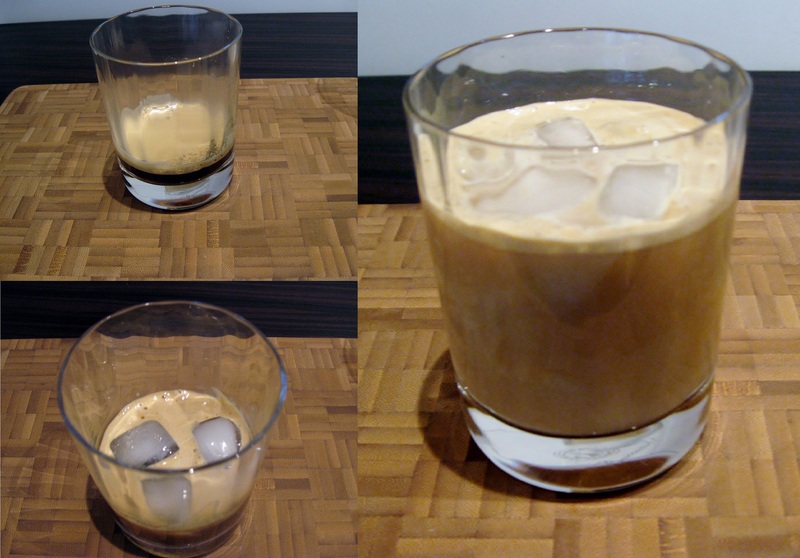 I have a Nespresso machine, which makes excellent coffee (crucial to the end result of this recipe). 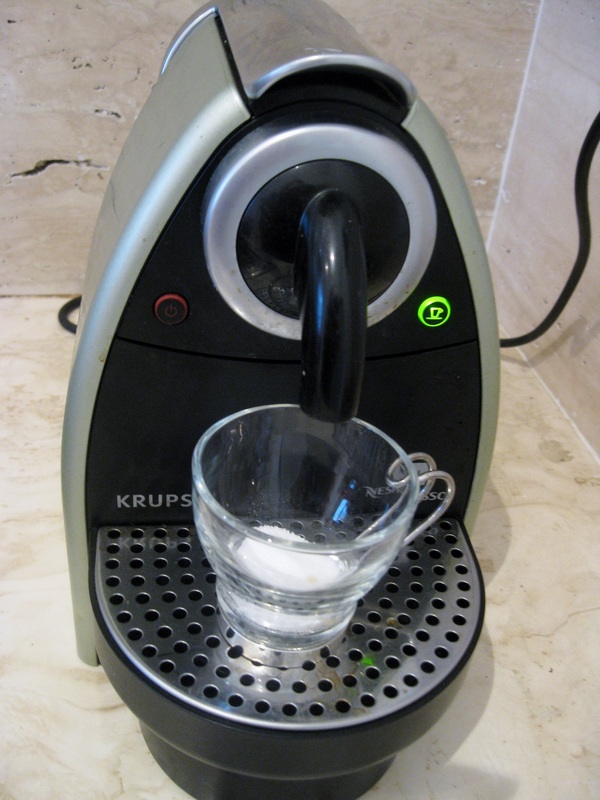 A secret to foamy espresso, is to add sugar before pouring coffee into the cup. Those look so refreshing. I love my espresso straight up, but could still do one of those freddos. Almond milk gives a kick to this freddo!! I am usually a purist, but this was really refreshing! First off, I’m sooo jealous of where you live!! 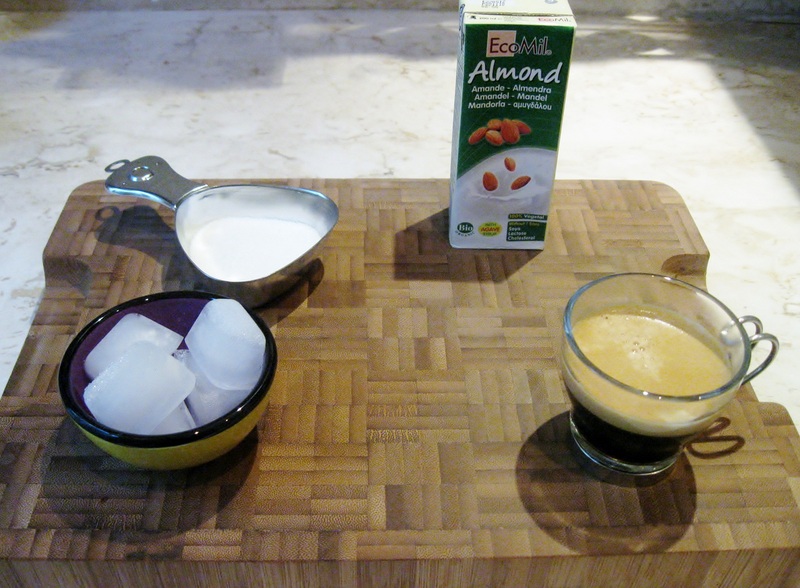 And now this drink..I’ve been wanting to make some iced coffee as it’s getting very hot here now too and I love this addition with the almond milk. I have all the ingredients so I’m definitely going to make a cup tonight! I am very glad you like it!! You can also add grinded ice if you like, and it will even be more refreshing!!! that looks great id love to be in rome right now, england is too cold!! And I’d love to be in London – despite its cold weather!! That looks really yummy and refreshing!! Thank you! And thank you very much for stopping by! !